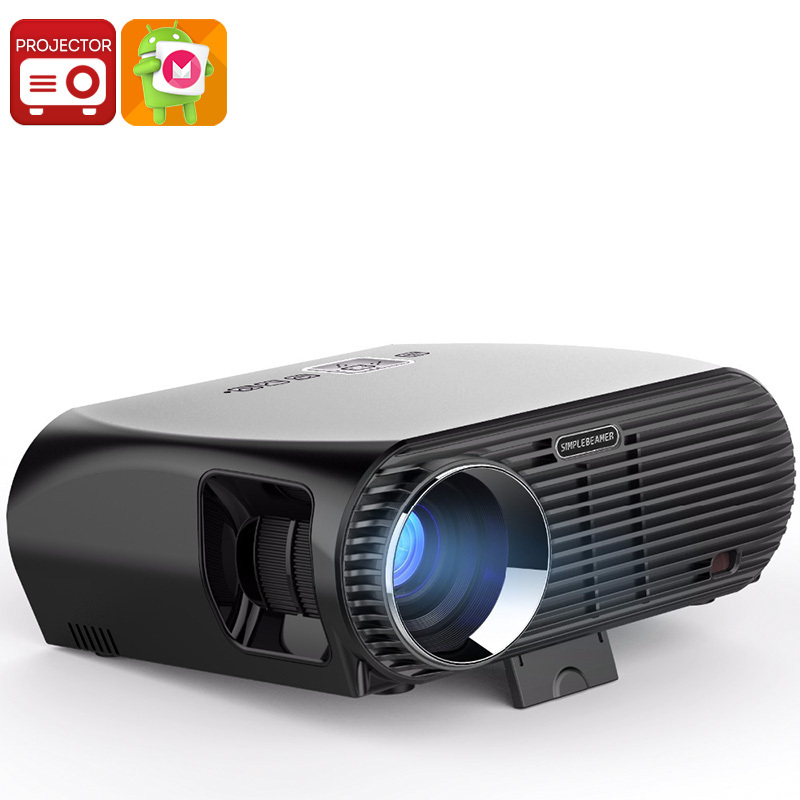 Successfully Added HD Android Projector - Android 6.0, 5.8-Inch LCD, 800p, Quad-Core, 1GB RAM, 360 Lumen, 8GB ROM, WiFi, Google Play, Bluetooth to your Shopping Cart. Vivibright GP100UP Projector is a powerful Android projector that treats you to tons of media possibilities. With its Android 6.0 operating system, this LCD projector allows you to instantly display films, games, and Apps onto your wall. The HD projector features a Quad-Core processor that has been clocked at 1.5GHz and comes with 1GB RAM. This treats you to sufficient power that allows you to tackle all basic Android features. Whether you use this LCD projector for business or fun – it is sure to meet all your media demands. With this Android projector at your side, you’ll be able to give presentations and enjoy movies in crisp 800p resolution. Your LCD projector supports both 4:3 and 16:9 aspect rations, thus letting you enjoy classic and new media without cutting any frames. By producing up to 360 lumens, this LCD projector lets you enjoy great visuals in any semi-dark room. It comes with WiFi support and Google Play. Thanks to this, you’ll always be able to download your favorite media or browse the web while you’re at home or in the office. The Vivibright GP100UP Projector features a throw distance of 1.2 to 8.5 meters. This makes it perfect to be used in large and medium-sized rooms or offices. By supporting a projection image of up to 280-inches, this LCD projector truly is capable of treating you to a cinematic experience. With its number of ports and Bluetooth 4.0 support, your LCD projector can be easily hooked up to your PC, laptop, or television set. Additionally, it comes with 8GB internal storage for you to fill up with your favorite type of media. The Vivibright GP100UP Projector comes with a 12 months warranty, brought to you by the leader in electronic devices as well as wholesale HD projector..